Owner Leticia Chavez told What the Fork that lunchtime order-at-the-counter service will remain the same, but that the larger space will allow her to start having sit-down table service for dinner. 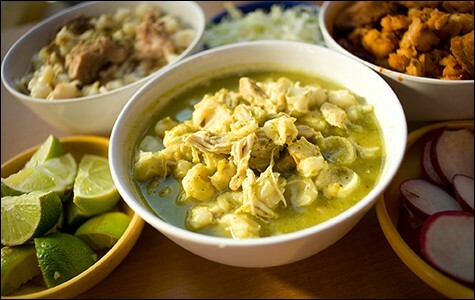 Beyond the regular menu of soups and standard taqueria items, Chavez said she’ll also start serving two or three rotating entrée specials every night — things like birria (goat stew), cochinita pibil (slow-roasted pork), and chicken or pork in pipián (pumpkin-seed sauce). Chavez said she chose the restaurant’s new name, which means hibiscus flower in Mexico, in honor of her mother, who loved the flowers. Obelisco’s current hours are Monday to Saturday, from 10 a.m. to 9 p.m., though Chavez eventually plans to add a buffet-style Sunday brunch. And once the restaurant’s beer and wine license comes through, there will be live music on weekend evenings.